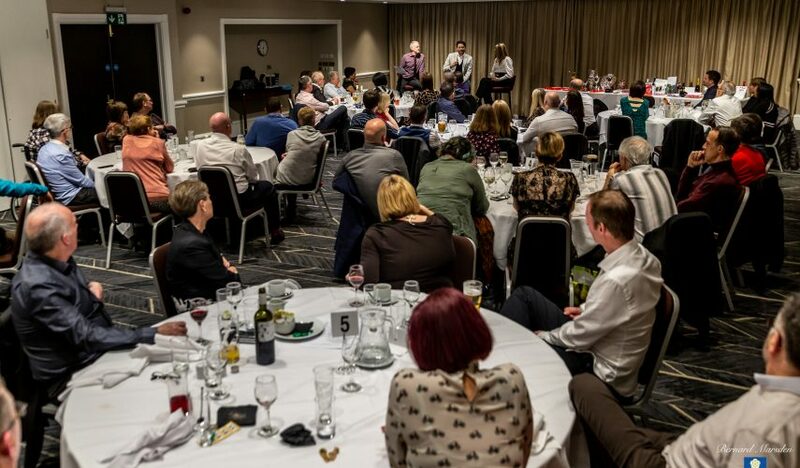 An evening of celebration and recognition took place for Seacroft Wheelers Cycling Club earlier this month (January 2019). The club’s annual dinner announced the winners of all competitive events, plus other achievements of its members in the last 12 months. Seasoned competition riders like Lynn Hanson, Elaine Kelly and Pete Nixon were joined by rising stars Lorna (Doris) Potter, Stuart Pickles and Madeline Moore. Other notable successes included ‘Most Improved Rider’, Claire Lancaster, one of last year’s ‘Zero-to-Hero’ graduates, while returning member Martin Clough took the Cyclo-Cross Champion trophy. Craig Lyons took ‘double honours’ with Club Person of the Year and most attended Sunday rides (Club Run Competition), with Richard Goddard and Martin Scholefield both completing five of the eight Reliability Rides. Ian Brown won the Dave Jakeman Merit Award for most outstanding single achievement. Ian took 1st place in the 24-hour World Time Trial Championship, in the two-man, 50-59 age group. They covered 451.2 miles. The event was held in Borrego Springs, California. The Club Person of the Year award is based on year-long contributions to the club. Craig was nominated for efforts to do everything he can to improve the club and the work he puts into the kit and the website. A full list of all the winners is below. The awards were presented by founder-owners of Ilkley-based cycling clothing company, Fat Lad at the Back. 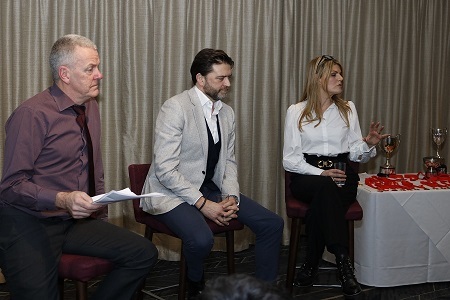 Richard & Lynn Bye also treated the 60 attendees to the inside story on how they built a successful business that now exports to more than 40 countries and is growing 25%, year-on-year. The dinner comes just two weeks after members were told at the club’s annual meeting that it is in a very healthy position, both financially and structurally, with membership levels at their highest for several years.